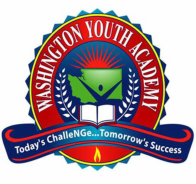 The Washington Youth Academy Foundation Board of Directors serve in a voluntary capacity without compensation. We employ no staff and nearly all money raised goes directly to support the Academy programs and the Academy graduates. ​The following individuals have been bestowed Honorary Board Members for their lasting contribution to the Washington Youth Academy and the Washington Youth Academy Foundation. ​The following individuals served on the Foundation Board of Directors with distinction.